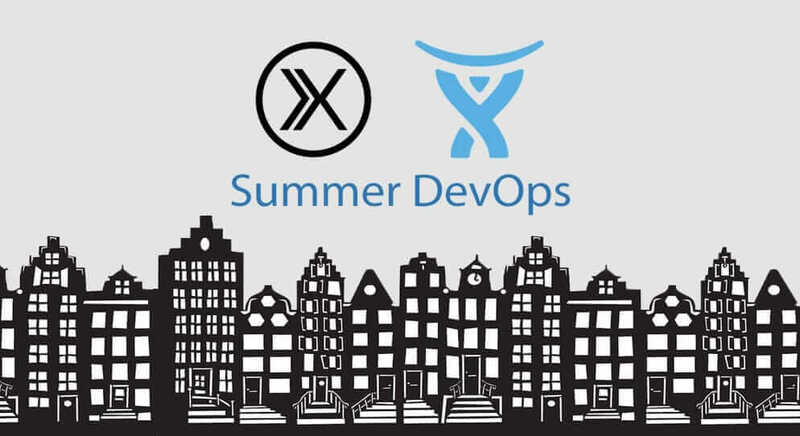 Over one hundred and twenty developers, managers and IT executives turned out at the June 21st summer DevOps MeetUp event in Amsterdam sponsored by LINKIT and Atlassian. Thiago de Faria, DataOps & AI Engineer @LINKIT and host of Summer DevOps 2017. Pini Reznik, CTO @ContainerSolutions, who will be talking about: Is Serverless the Next Thing after Containers? Jason Yee, Technical Writer & Evangelist @Datadog, who will disucss: Past, Present and Future of Monitoring: An Adventure in Time Travel. Muly presented: Legacy On-Premise Apps Got You Down? No Problem – DevOps for All! Muly got the audience engaged by pointing out that with all the buzz about DevOps, we tend to believe that everyone is doing it. Yet, because most us still work in a legacy world, achieving ideal DevOps methods can be hard to do. And according to IDC – the vast majority of enterprise apps are on-premise today. 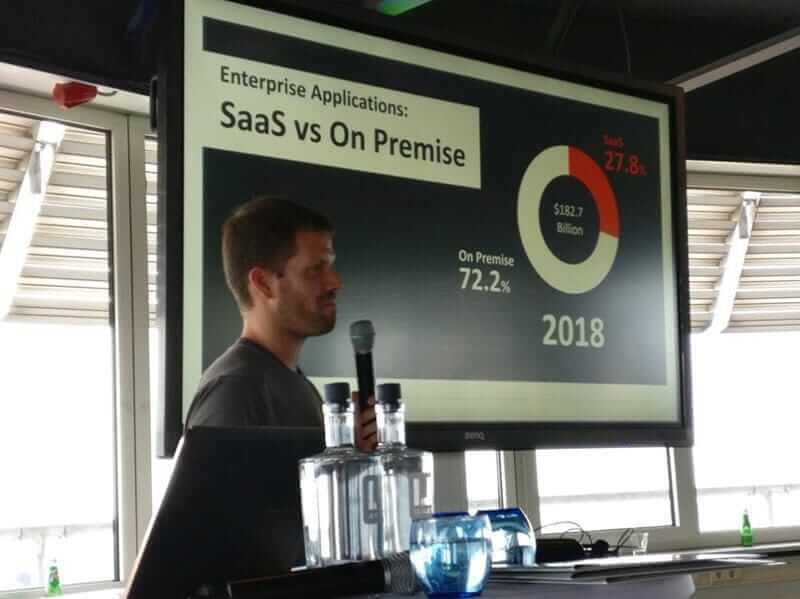 And even in 2018, only 27.8% of the worldwide enterprise applications market is expected to be SaaS-based. Muly explained to the crowd that even if they work with legacy on-premise applications, they don’t have to sit on the DevOps sidelines anymore. 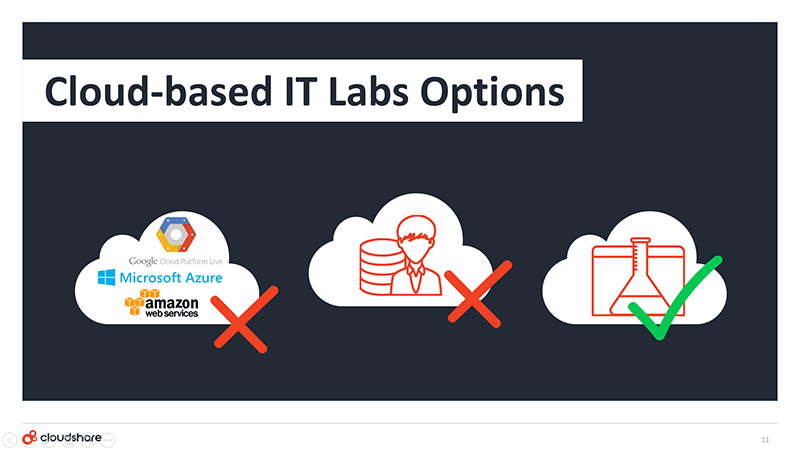 Today’s specialized cloud-based dev and test environments make it easy for organizations to adopt modern DevOps approaches and keep your costs sane while they you do it. By all accounts, the entire event, as well as Muly’s presentation, were big hits! Kudos to LinkIT and Atlassian for another successful event.